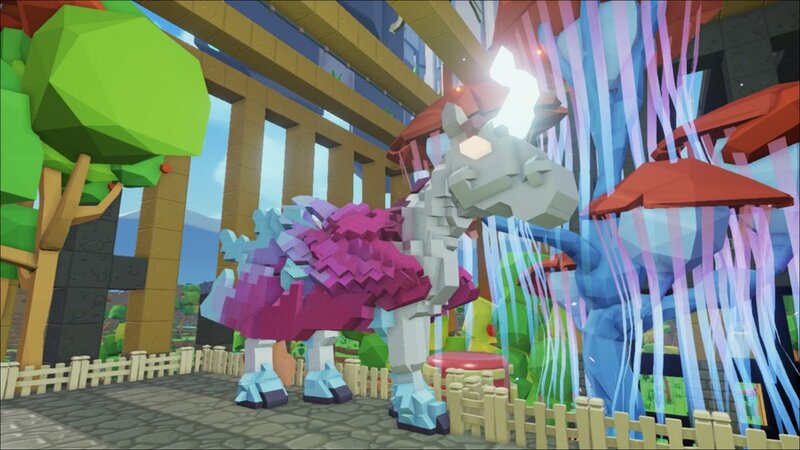 Pixark is the nearly perfect cross of Minecraft and Ark: Survival Evolved. Pixelated dinosaur survival. It's my ideal game, really. I can build a homestead, or a city and ride dinosaurs. What's not to like? 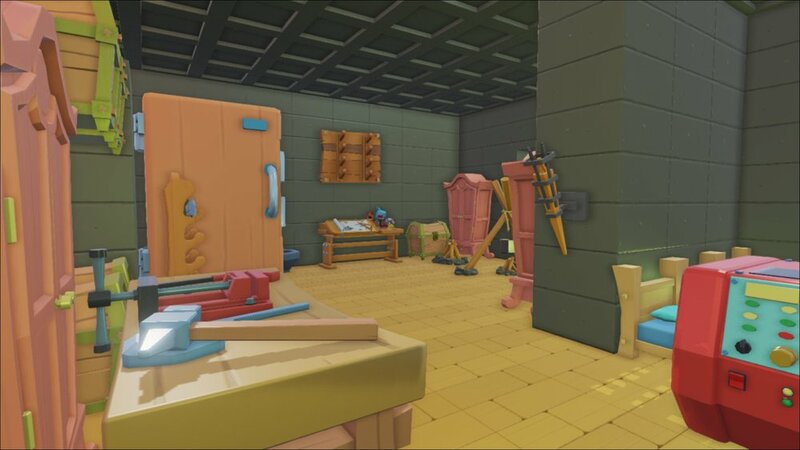 Pixark does a fairly nice job of fixing some of the issues my group has had with Ark. Placing blocks is a whole lot easier than placing things in Ark, and when you do screw up, it's generally easily fixed... except for that windmill we destroyed on accident, but that's what God Mode is for, amirite? Dude, it's my server and I'll do what I want. Dinosaurs for some reason seem a might bit more terrifying that they do in Ark, which is odd as they are cute cubed versions. Granted, some of our issues were on my end with the server adjustments I made the wrong direction, but even corrected the right way, some of these monsters are nigh untouchable. We've taken to digging holes. Lots of holes. Our starting zone is littered with dinosaur death traps, cages and a T-Rex pit that holds the Rex we tamed but can't ride yet. We haven't tried breeding yet to even know if that is a mechanic that's even available yet, as the game is in Alpha still. Farming is more Minecraft than Ark. Taming has been just like Ark, though, again, we've taken to baiting and trapping creatures so we can peg them with Sleepy things. I've flown around on my cage caught Argie to seriously consider the real odds I will ever go adventuring for real outside of our safe-ish little homestead. I say safe-ish as we had a real problem with Rexes dropping in on us. And Argies. Our home basically is surrounded by a cage now. Rexes don't always care though. They clip through walls like nobodies business. So far though, in our first 50ish levels of playing, we've done some serious mining and setting up. It does feel like we weren't ready to venture out into the wide expanse of world beyond our little spot until we were closer to 70 . So far, the very worst day we've had was when our level 69 Rex was had by a level 12, I got all of our fliers done in, our Carno was wamped and I proceeded to get us in a half hour quest to try to get our stuff back from the pit of the Elementals which was borderline rage quit inducing. It was a bad night. Having explored a little more after The Really Bad Night, we discovered the joy of raiding Ice Castles and Ruins. Now that we are high enough levels, we can actually do so without taking too bad a beating. The game is definitely more reasonable the higher leveled we are and after some server tweaking. Overall, I'm extremely pleased with my purchase of this game. It was exactly as advertised. 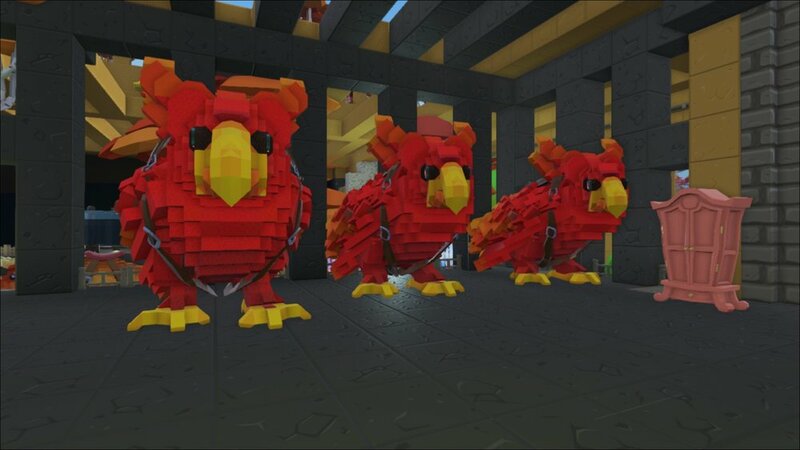 It has all that I really loved about Ark with a bit fewer of the pitfalls. 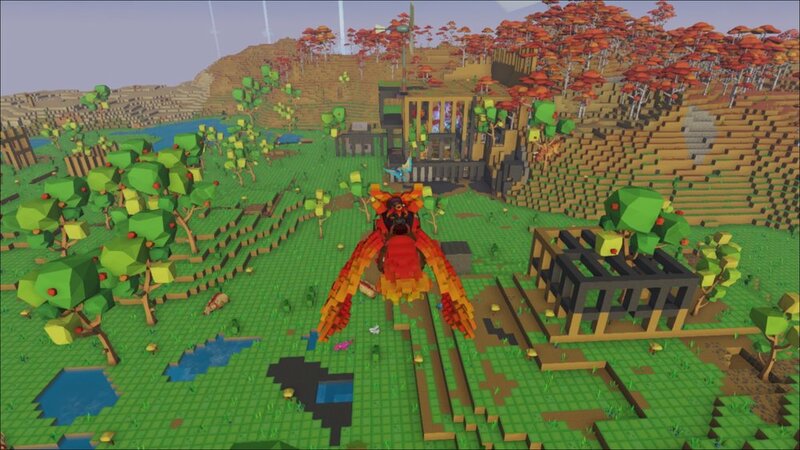 New creature additions like Fairy Dragons, Minotaurs, and Werewolves make it a game on its own while old favorites like skeletons and zombies are reminiscent of Minecraft. We've not tried a PVP server, having rented our own personal one which suits our availability and play style. 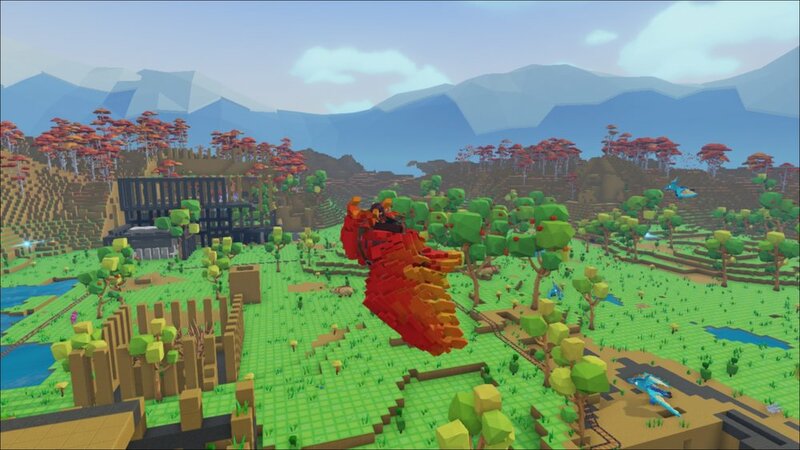 If you like Minecraft and Ark, this game is for you!